Convert video and audio files to WMV, MP4, MOV and other 1000 formats. WMV (Windows Media Video) is a video compression format developed by Microsoft. You can't play your WMV video on Mac computer, iPhone, iPad, etc. Also you can't edit WMV video in iMovie or Final Cut Pro. However, a WMV converter will solve all the problems by simply converting WMV to MP4 or MOV. MP4 is a highly compatible format with almost any device and application. 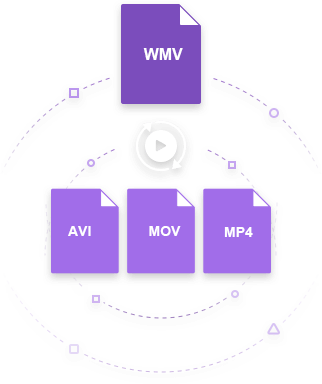 Meanwhile, if you have other formats like MOV which can't be compatible with some Windows devices, you will need to convert videos to WMV that is well compatible with Microsoft system. 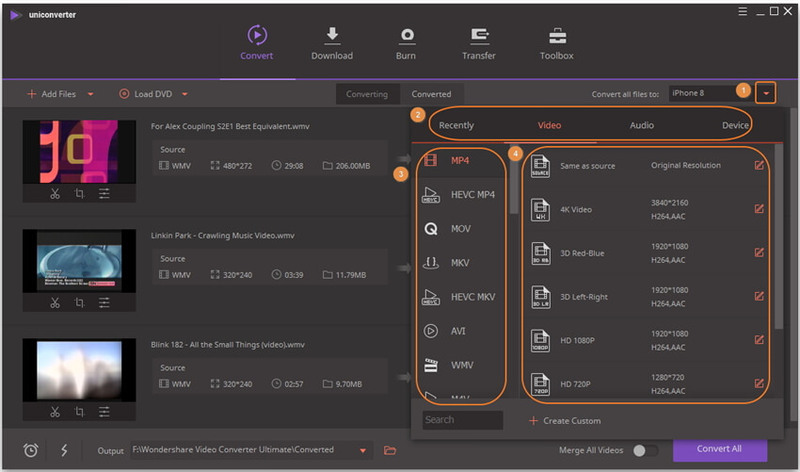 A professional video solution tool: Convert WMV to AVI, MP4, FLV, MOV, M4V and other hot file formats with ease; and also convert AVI, MPG, 3GP/3G2, MP4, MOV, M4V to WMV without losing much video quality. Multiple Presets: Convert WMV to iPhone, iPad, Apple TV, Windows Phone 7, Samsung, BlackBerry, HTC, Motorola, PSP and more for playback. Or you can use it to convert WMV to iMovie and Fianl Cut Pro for editing. High Output Video Quality: Convert video to common, 3D and HD videos without any quality loss, preserving the original video quality completely. Professional DVD Burner: As an iDVD alternative, you can convert videos from any format to DVD with beautiful DVD menu templates. Online Video Downloader: Just copy your web video link (YouTue video included) and then this application will soon download videos at fast speed. Great Video Editor: Edit videos by trimming, cropping, rotating, merging or adding effects. Step 1 Add videos to the WMV Converter. Directly drag and drop your local videos to this WMV converter. Alternatively, click the button on the top-left corner of this app's Convert interface to browser your computer and select the WMV videos you want to convert. Step 2 Choose WMV or other format as the output format. Click the icon beside Convert all files to: section to get a drop-down list, which is neatly categorized into Recently, Video, Audio and Device. If you want to convert WMV to other format, just go to Video tab to choose your target video format and select a resolution in the right. Step 3 Start WMV to Video conversion. Press the Convert All button at the lower-right corner of this app's main interface to start WMV conversion. At the bottom of this WMV video converter's interface, you can click the folder-like icon to find the output files for use. You can use it to free convert WMV to AVI, MP4, FLV, MOV, M4V on both Windows and Mac verison). And also you can convert video directly to iPhone, iPad, Android phones and more. Pro: 100% Free WMV converter. 1. The output video quality can't be compared with UniConverter. 2. You can only use it to convert WMV videos to common videos, 3D and HD videos with watermark. 3. It only supports burning WMV to DVD with watermark. 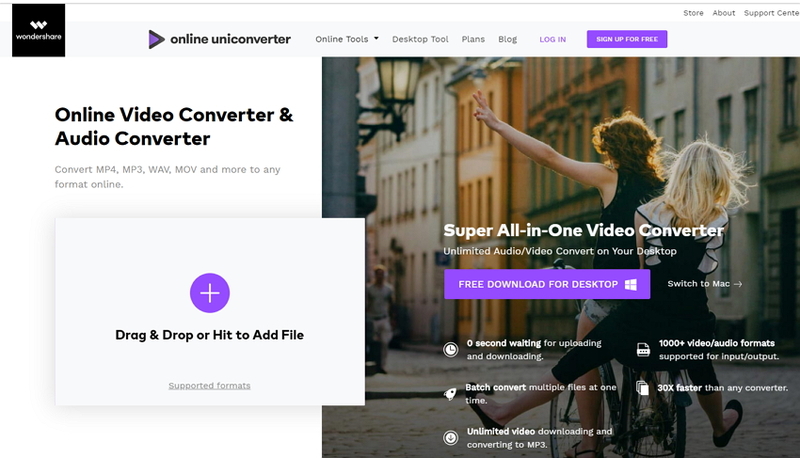 You can use the free online WMV converter Online UniConverter (originally Media.io) below. It combines audio converter and video converter into one which converts MP4, MP3, WAV, MOV and more to any format online. Moreover, it's extremely user friendly that requires 3 simple steps only: upload video > choose outout format > convert & download. 1. Do you have any recommended free WMV converters? You can try the Wondershare Free WMV Converter. It lets you convert 3GP to WMV, AVI to WMV, MP4 to WMV, FLV to WMV, YouTube to WMV with no watermark and in high quality. The most important thing is that it is a 100 % free WMV converter. 2. I edit videos in Sony Vegas and need to convert WMV to AVI, MKV or MP4. How to do it? 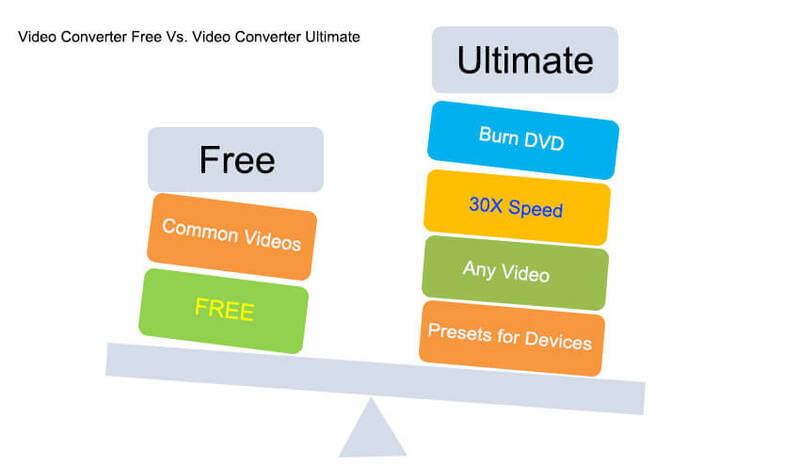 The free video converter and online video converter can simply make it. 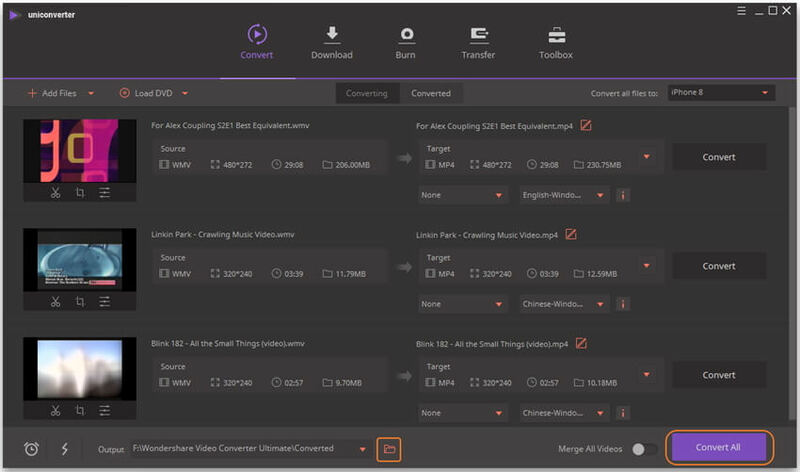 If you want a more powerful and professional video converter, Just try Wondershare UniConverter. It lets you convert videos to or from any format (WMV included), edit videos, download videos from many sites, and even burn videos to DVD. 3. How do I convert WMV to QuickTime? If you want to play WMV on QuickTime, you can convert WMV to MOV format by free online WMV converter Online UniConverter (originally Media.io). But if the file is a little large, then you can consider to use Wondershare UniConverter fast without size limit. Download and have a free try now.